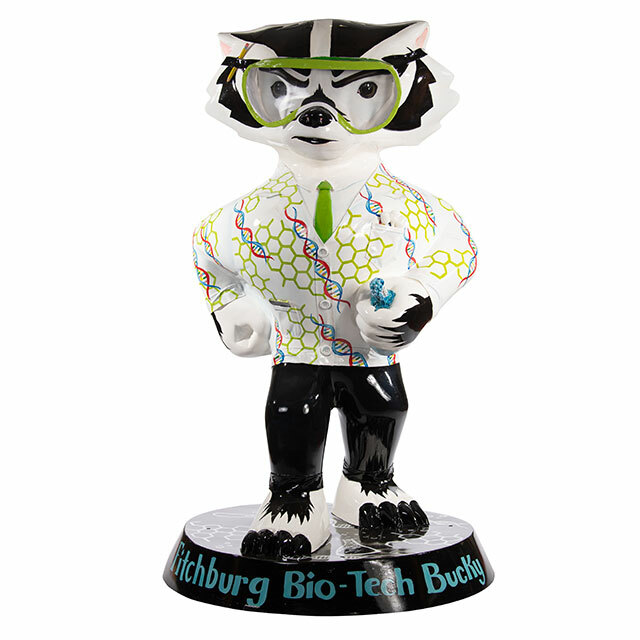 With his goggles and white coat, Bucky is ready to spend the day in the lab. This statue speaks to the curiosity in all of us – especially students, teachers and the next generation of scientists! Art is my career! I have followed a lot of artistic ventures, but since becoming a mom, I have narrowed my work down to a few main paths: children's book illustration, personal and commissioned work and watercolor pendant jewelry. I am most passionate about telling a story through my art. Storytelling through art also helps me get across an idea or concept that can't be explained as easily through words.